PPLA had the chance to sit down with actor Brad Beyer, best known for his work on the TV series Jericho and the recent film 42, about his upcoming onscreen endeavors and his turn behind the camera as a still photographer. Beyer’s work will be shown in his first exhibit later this month! PPLA: So, you took a theater class in college that was for non-theater majors. Did you take it for credits or because of genuine interest? BB: Yeah, I had always been interested… in high school, I played sports and I didn’t really get a chance to experience theater. I had always thought about it, and I’d seen plays, and then when I took the class my freshman year in college it was instantly, you know, I got the bug. PPLA: Did you move to New York to pursue the theatre route? BB: After my second year, I declared theatre as a major, and did a couple of plays…and I had a professor that said, “If you’re really serious about this, you should go to New York” and I started looking into all of the people I respected and actors I loved at that point—Steve McQueen, Dustin Hoffman, Robert De Niro. I looked and found that most of them went to New York and pursued a teacher there and honed their craft before they started working and that’s the route I decided to take. PPLA: Would you say that Jericho was your biggest break? BB: Well, Jericho is probably the most well-known thing I’ve done—it kind of had a cult following, it was cancelled and then brought back—the character that I got to play on that show was pretty popular. I did a show GCB a few years ago. There’s been a few highlights, but Jericho is definitely one of the main ones. PPLA: What would you say is the biggest difference between film versus television acting? BB: This summer I did a movie called 42, about the Jackie Robinson story. With movies like that you have much more time to pace yourself with your shooting schedule. With television, everything goes really fast. You have eight days to get an episode of television done really, so you just have to be quicker, more prepared. PPLA: Do you have a preference for acting in comedies versus dramas? BB: I actually like them both equally. It’s funny though, you’re always kind of pegged into the last thing that you’ve done; like after I did GCB, everyone acted like, “Well can you do drama’” and then after that I did a thing on NCIS where I played a soldier with post-traumatic stress disorder, and after that it’s like, “Well is he funny.” But yeah, I really do enjoy doing them both. PPLA: What was your biggest challenge playing Kirby Higbe in 42? BB: I think the biggest challenge with that movie…in playing a guy from the South (Kirby Higbe was from South Carolina, and raised in the 1920s and 30s in America in the South) is that things were very different. He was brought up to believe that segregation was the right thing- white people stick with white people and black people stick with black people. As we know today, that’s not the way it is, and it’s not the right thing. I had to sort of not judge him and judge the character, and just sort of play the truthfulness of him. Those guys didn’t know any different. It was ingrained in them. He was definitely a racist. In the movie, he was definitely portrayed as a funny racist (if that’s even possible) [laughs] so I tried to lighten it up a bit. So I think that was the biggest challenge, not judging those kind of characters when you play them, because then you get into a weird territory. I think the best thing you can do is just portray them as honestly as possible. PPLA: What are you working on right now? BB: I just worked on a show called Ironside, which is now gone [laughs], on NBC. I worked on a show called Perceptionon TNT with Eric McCormack which should be coming out shortly. I did an arc on a show called Royal Pains on USA with Mark Feuerstein which was amazing. I had a great time doing that. PPLA: Tell us a little bit about the “American Nostalgia” exhibit. Why did you choose to showcase at A Beautiful Mess Home? BB: I’ve always been interested in photography. When I was on Jericho, I bought an old polaroid camera and started taking pictures of people on the set, and I just started to really get into it. I’ve always been a collector of old things—toys, sports memorabilia, military things, things from flea markets and garage sales—and one day I started taking pictures of these things. I shoot them outside in natural light and then I wipe the background so they’re kinda floating and it becomes an isolated image—it just looks really neat. I sort of got in touch with this woman named Kymberley Frasier and we have a mutual friend who owns A Beautiful Mess Home. It’s an amazing home design store in Agoura Hills, and she was looking for an artist to show in her store. She really liked what I was doing so we decided to do a show in November around the holidays to showcase the work. It’s my first photography exhibit, so I’m a little nervous! I’m also going to be doing a limited editions of the 42 bus. PPLA: Will people be able to purchase the pieces? BB: Oh yeah, they’ll be able to purchase them; everything’s going to be for sale. 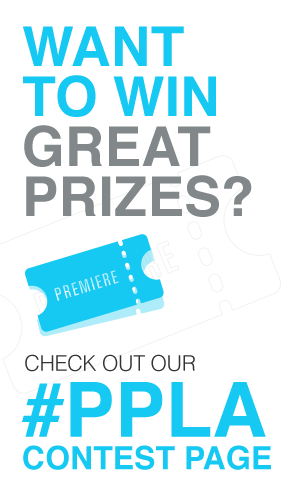 PPLA: Where can we see more of your work? To see Brad’s photographs in real life, head out to A Beautiful Mess Home in Agoura Hills, Saturday November 23rd from 3-8 PM.